This stall at a coffee shop along Sixth Avenue and they claimed to be the Original Jalan Tua Kong 132 Mee Pok but is not quite so. 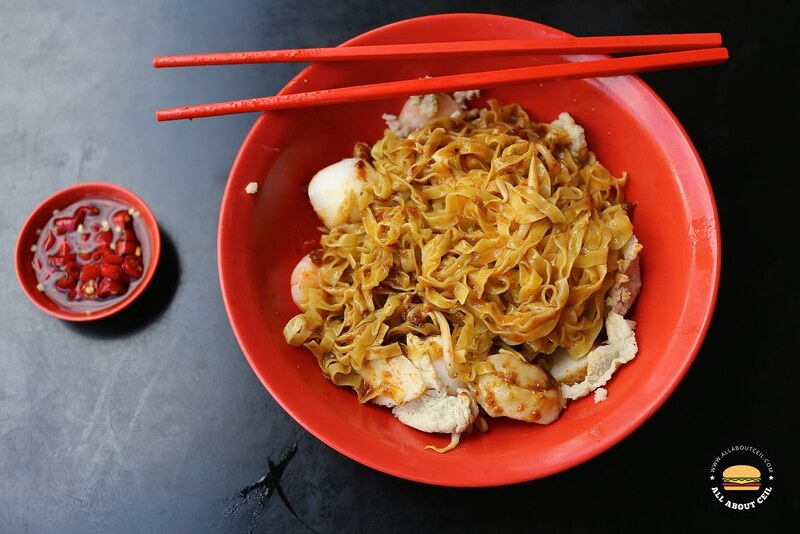 There is 132 Mee Pok at Marine Terrance and also Jalan Tua Kong Lau Lim Mee Pok from Simpang Bedok. 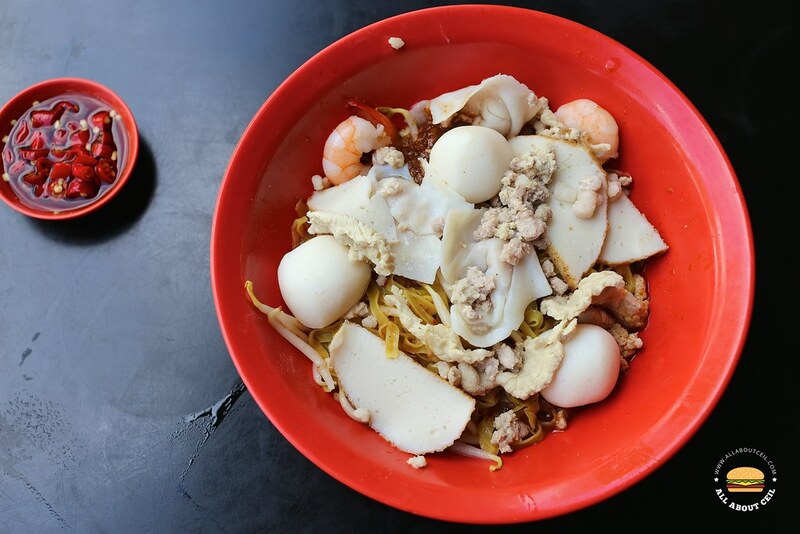 The original is supposed to be the 132 Mee Pok at Marine Terrace as they are the original family that started it but decided to take a break and handed it to Ah Lim that relocated it to Simpang Bedok. Then, the next generation of 132 Mee Pok took over the business and made a comeback. The stall at Sixth Avenue is manned by an ex-worker of Ah Lim and it has been there for quite a while. Their menu consists of Fishball Minced Meat Noodle ($4/$5), Fish Dumpling Noodle ($4/$5), Abalone Noodle ($10) and Pacific Clams Noodle ($6). 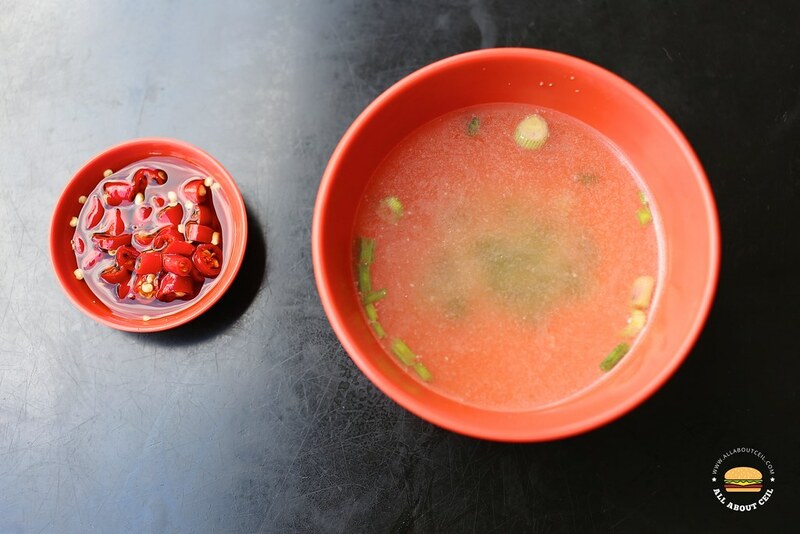 There are also Fishball Soup, Fish Dumpling Soup and Mixed Ingredients Soup available. I went ahead with the larger portion of Fishball Minced Meat Noodle at $5 and added $1 worth of Fish Dumplings to make it $6. I was given a pager to collect the order later. The noodles were cooked well to have a springy texture and still retained a nice bite. And, I requested to have an extra amount of chilli to be added but regretted a little later as I did not expect it to be that spicy. It came with 3 fishballs, sliced pork, fishcake, prawn, minced pork and also fried pork lards, the ingredients tasted fresh. It was quite enjoyable and its standard is comparable with the Jalan Tua Kong Lau Lim Mee Pok at Simpang Bedok. I have yet to try the 132 Mee Pok so not able to make the comparison.